My mom brought me a bag of avocados last week, so I made guacamole. 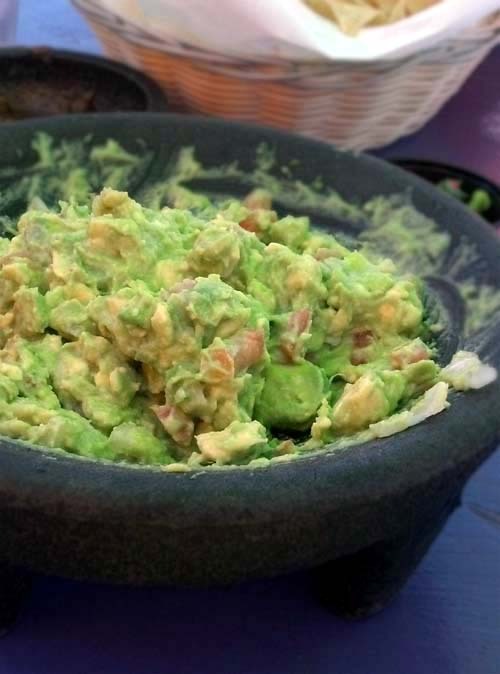 Scoop out avocados into a medium mixing bowl. Squeeze juice from a lemon. Mash with fork or potato masher to desired consistency. 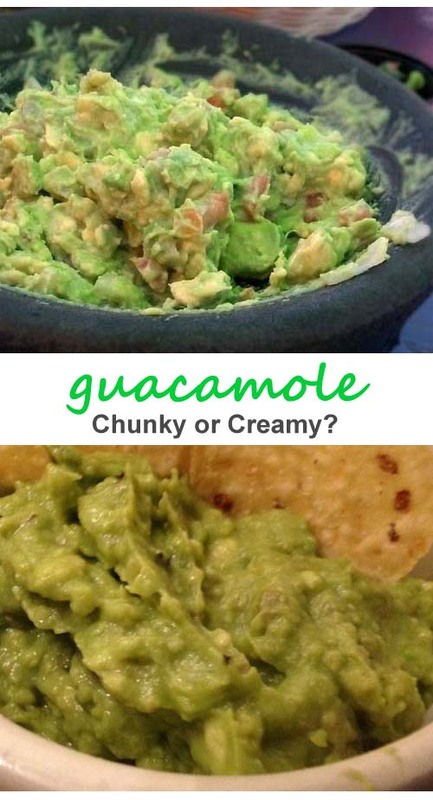 Some like their guacamole chunky like the picture above; others like their guacamole a little creamier, like below. Dice tomatoes and onion. Add to bowl. Squeeze juice from second lemon. Mix well. Salt and pepper to taste. 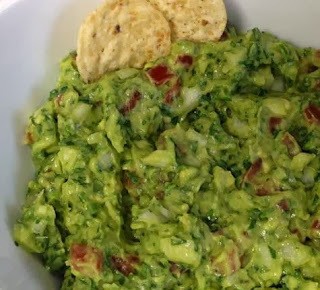 To the guacamole dip a little kick, add in chili powder or diced pepper(s). Popular types of hot peppers for use in guacamole include jalapeño, serrano, and habanero. Additional ingredients to consider includes garlic, cilantro, and green onions. 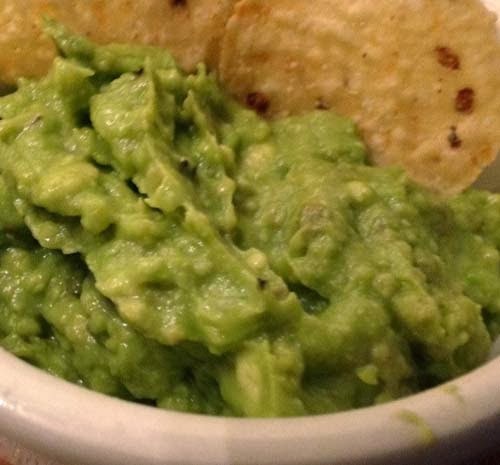 And lastly, for a super quick guacamole recipe, mash a jar of salsa with 2-3 avocadoes and you're good to go.